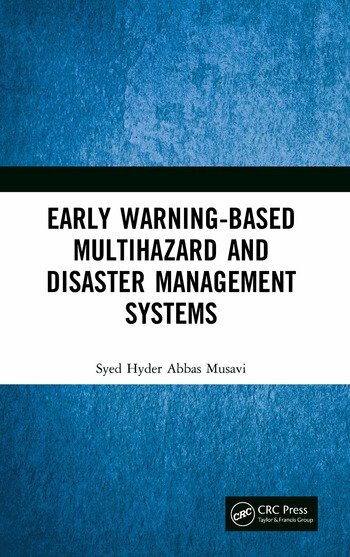 This book describes in detail disaster management principles with applications through software and early warning systems. The aim is to introduce the concept of advanced technology for disaster management. Hence, it starts with a basic introduction to disasters and their types. Then it examines these functions by taking into account various factors vulnerable to disaster losses. Finally, the results are discussed with the aid of software: OPNET and SAHANA Disaster Management Tool. The application of sensor systems to manage the disaster is also extensively discussed. Professor Dr. Engr. Sayed Hyder Abbas Musavi has a PhD and MS in Telecommunication Engineering and B.E. in Electronics Engineering. He is serving as Dean Faculty of Engineering Science and Technology Indus University Karachi since past 04 years. He has 27 years of teaching and research experience. Previously, he was engaged as Chairman Department of Electrical and Electronics Engineering Hamdard University Karachi. In past he has served as Professor and Principal at Petroman- an Institute of Ministry of Information Technology and Telecommunications, Government of Pakistan at its various campuses for more than 10 years and had also remained Executive District Officer IT. To his credit are more than 100 research publications in national and international journals and conferences. He has attended numerous international conferences as keynote as well as author. He is on review board of numerous impact factor international journals. He is member of numerous national and international societies including IEEEP Karachi local council, IEEE USA, IEEE Computer society, IEEE Signal Processing Society, IEEE Devices and Circuits Society, IEEE Communications Society, IEEE Education Society etc.